Programme Making and Special Events (PMSE) Audio Applications will lose the potential to access approximately 100MHz of spectrum on a secondary basis when 700MHz clearance happens. The full impact of 700MHz clearance will not be known until the UK’s detailed plans for DTT in the remaining UHF band are made available. One solution proposed by Ofcom to the reduction in spectrum available to PMSE, is for PMSE audio applications to share spectrum used by the Civil Aviation Authority (CAA) between 960MHz and 1164MHz. 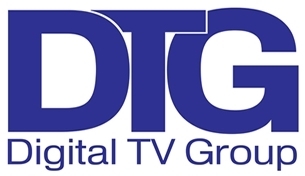 Open to non-DTG Members, the next meeting of the DTG Spectrum Access Forum on Tuesday 12th July 2016 will ensure attendees are fully informed about the key background issues and have an opportunity to discuss which actions, decisions and milestones are required to enable a roadmap to be built and maintained. We have a range of influential stakeholders who will be debating the subject with speakers from the Department of Culture, Media & Sport, Ofcom, BBC, NATS and Sky so please join us for what promises to be a stimulating and engaging debate.